AI and Machine Learning to help aid our users to save even more time. Bookipi is currently an Invoice Maker and you can also use it to report your income with professional reports. We're working on a free Bookipi Expense app (separate app) that can log all your expense data. The reason for separating the apps is so that the apps can stay lightweight. Sign in with your Bookipi login and sync your expenses and income in the reports. We're not aiming to innovate twice as much as our competitors, but we're striving to innovate ten times as much. We are recruiting more smart creatives and AI specialists from around the globe to accomplish this. Daily praise on our support live chat. We filmed stories where we empowered business mums to do their passion business and bring in income for the family through the use of smart technologies 'Bookipi' being a big part of their success. Get paid faster through the use of AI (still in beta testing and not available to market yet). This is the worlds first for an app and we're very proud of the small team to be developing this feature for our users. Once you create an invoice the AI will learn the best times to send an invoice to get them paid faster and will automatically send them for you at the most optimal times. How difficult it was to make an app that appeals to over 179 countries. There are so many currencies, tax regulations, laws and of course languages we needed to cater for. we had to translate Bookipi into 12 most common languages on my own. Tools like Trello have inspired us to create a modular feature system where our customers can add in the features they need, which further simplifies the app. Most apps have all the features baked into the UI and it could be overwhelming especially if you don't need 90% of those features. Intercom has also inspired us. There are so many chat services out there, yet Intercom blew this out of the water. They set themselves apart with a game-changing product in their space. We want to make a service like Intercom in the accounting software market. I was working in the construction industry with zero knowledge of IT, Design, Marketing. Through the use of free resources online, Youtube etc. 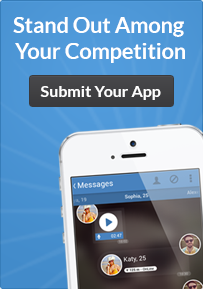 I've managed to design, develop and market a successful app competing against multi-billion dollar companies. It's never too late. I'm currently writing this on a cruise in Europe with my family. We released the first app on Android because that was the phone I had at the time. In order for everyone to experience the best invoice maker app, we eventually developed the app for iOS, Android, Windows, MacOS, Chrome extension, Gmail Addon and even the browser. UX, speed, and simplicity of the app. Bookipi is the only invoice generator with a modular feature system where users can add in the features they need, which keeps the UI much more simple. Other applications have 100% of the features in the menu which can be overwhelming. The major difference between Bookipi and the rest of the market is that we're very focused on who we're serving, we specifically targeted the small businesses and freelancers who just need to send invoices on the go, get paid on the go and do easy accounting with a press of a button. Due to having a clear target market, we have little to no overheads. If we compare our app feature to feature and usability, we can stand against the much larger invoice maker apps yet have a complete freemium model. Some of these competitors have over 100 employees, their customers are paying to sustain these company overheads. We've got plans to bring the most innovative features for small businesses. We also have plans to integrate AI technology into our product to help our user receive their payment faster and efficiently. We are looking for more talented people who can accomplish this. Only once we master this app for our users, we will look at expanding for a bigger market. The unique need Bookipi fills is 'it saves small businesses time and makes them money even quicker'.